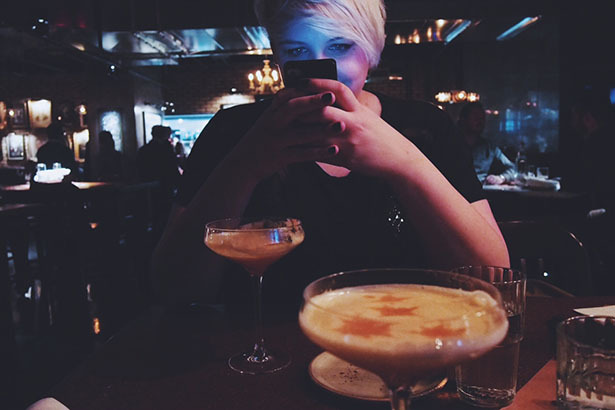 The night that Yuli and I visited Scaddabush was an evening in severe need of a pick-me-up. As a student working on my thesis who’d faced a major deadline the day before, and on one of the coldest days of the year, the warm, friendly and delectable experience that Scaddabush offered up is exactly what that cold day needed. DRINKS: While both Yuli and I loved the not-too-sweet Babba Straga cocktail we sampled that featured apricot puree, gin and egg whites, the real winner was the Blood Orange Bellini. 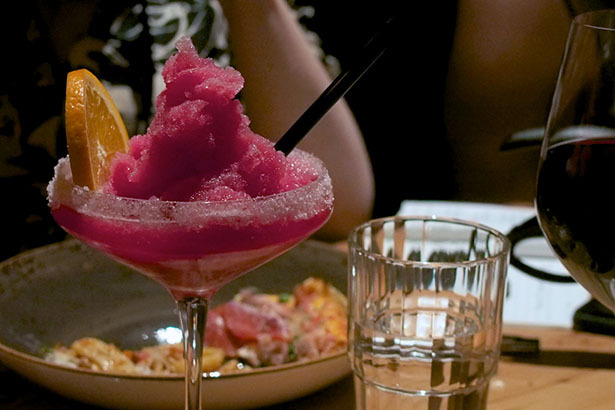 We spotted them farther down the communal table that the 30 or so people in attendance had gathered at, and were both immediately drawn to the hot pink, sugar-rimmed slushy concoction. It wasn’t too sweet and perfectly refreshing – and showed up looking like something that had been styled for a photo shoot. 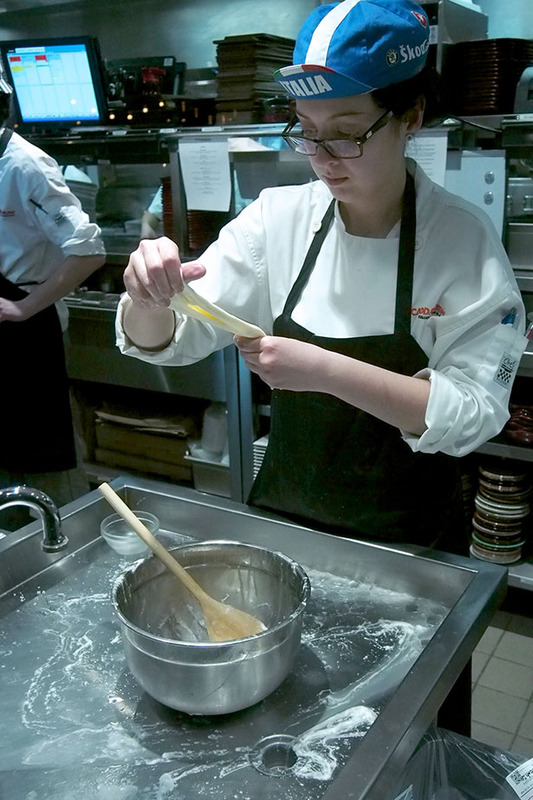 CHEESE: I was excited to try the made-to-order mozzarella a week before we’d arrived. Upon our arrival, we were able to watch some of the cheese being made through a window that allowed us to look into the kitchen. It’s an impressive set up, but nowhere near as impressive as the cheese it creates. The mozzarella platter with prosciutto and toast was delicious, but it couldn’t compare to the burrata. One thing we here at Fat Girl Food Squad can get behind is messy eating. Be it overflowing burgers, melting ice cream or sticky stringy cheese, we’re always on the look out for something that lets us really get our hands dirty. Or, in this case, our faces. 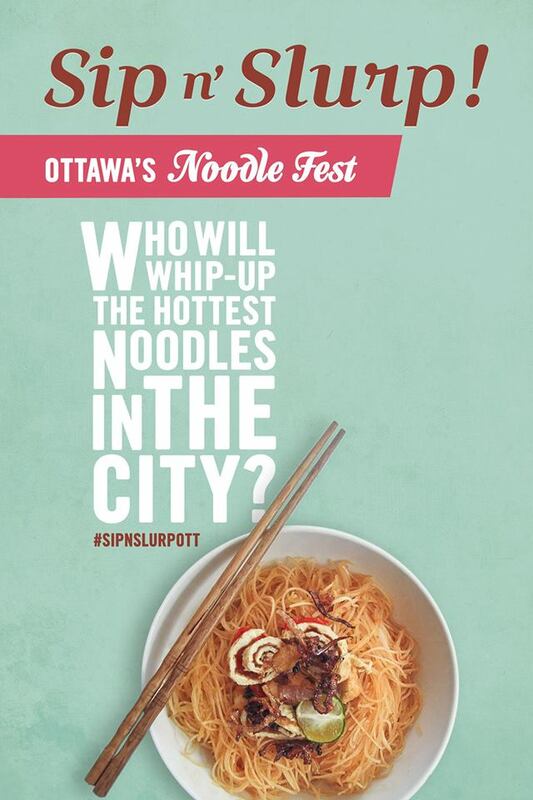 Sip N’ Slurp is Ottawa’s Noodlefest, brought to the city by Privé Food Thought, the same group who brought us the incredibly successful Underground Food Market. Get your Noodlefest tickets fast; the Food Market sold out, and there’s no doubt Ottawa’s noodle craving will match it. And if you can’t make it, check back here for our fully, messy coverage. For some time now, both Yuli and myself have been following the epic food ‘Grams of a chef who went by the name of @PrettyBoyLarge (real name Edward Furlani). He would throw down photos of incredible dishes following his Italian kitchen upbringing and nods to his Spanish roots (with family living in the Dominican Republic) and inspirational hash-tags/quotes (#SayNoToBadFood). After many comments and mutual admiration’s shared over Instagram, we decided it was time to sit down and finally have the in-person meeting over food that we had been longing to have. 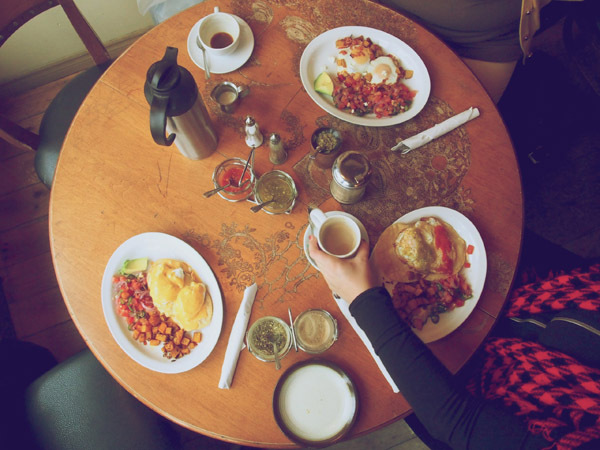 Thus, we were invited to Furlani’s newest kitchen venture: pop-up brunch at noted Argentina/Mexican cafe, El Almacen Yerba Mate Café (1078 Queen Street West). Walking into El Almacen that cold Saturday morning, we were greeted with PrettyBoy’s large smiling face inviting us into “mi casa”, as he called it. Hugs exchanged and deep chats regarding all things food and drink. Edward told us that he started the brunch at El Almacen as fun but also in memory of his father. “For my Dad, breakfast was something special. With my mom living back in the Dominican and my little brother in London, all I’ve got is feeding the masses!” With his inspiration leading the way, we were more excited now to try his brunch menu. 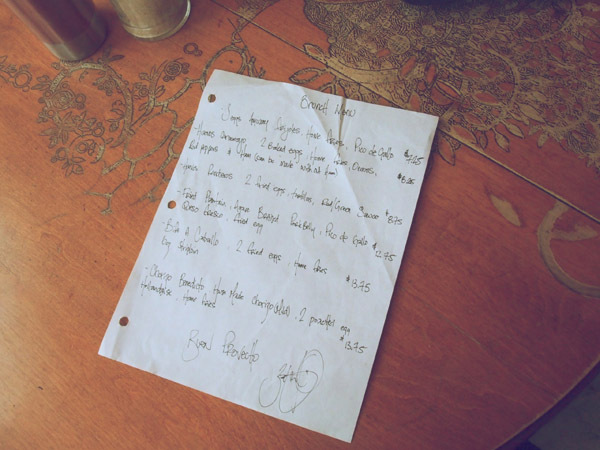 The menu is changed from week to week, with the offerings scrawled out on a simple white piece of paper. Edward tells us they try to include both the Argentina and Spanish roots in all of the dishes, which was evident from the offerings. 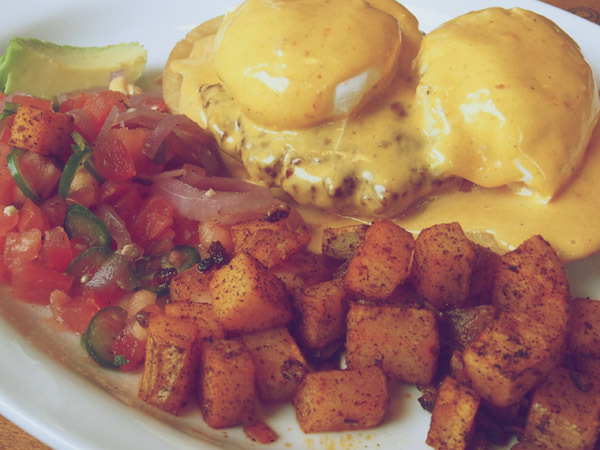 All of the brunch dishes fall into hugely affordable range ($7.75 – $13.75) for some inspired brunch. For my dish, I decided to take in the Huevos Coramajo ($8.75) which consisted of 2 baked eggs, home fries, onions, red peppers and ham. Yuli took in an order of Chorizo Benedicto ($13.75) which consisted of house-made chorizo, 2 poached eggs, hollandaise and home fries. 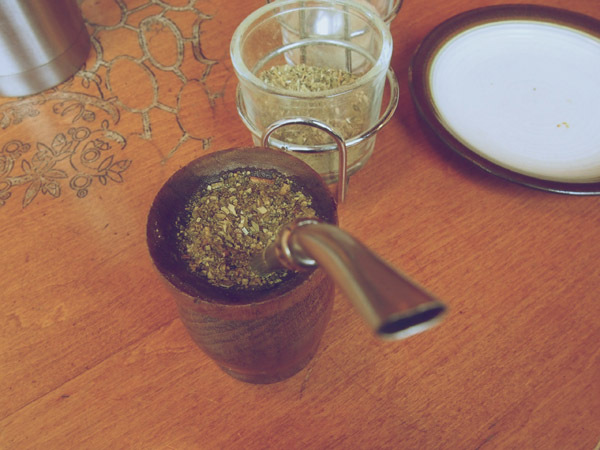 To round out out brunch, Edward suggested we try out the Argentina tea ritual of sharing the Yerba Mate. 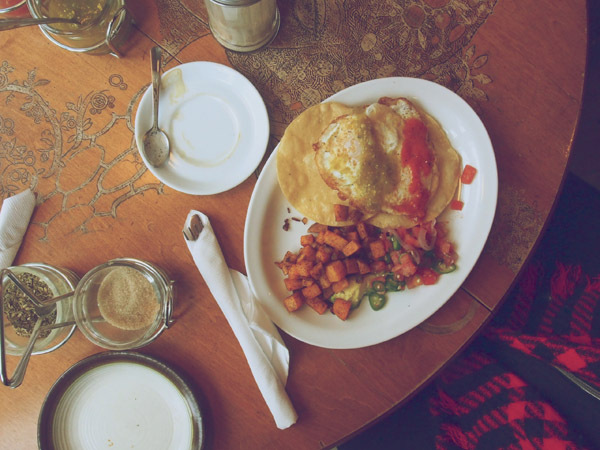 As we sat around the table in the bright and open cafe, passing around the Yerba Mate in its traditional guard, our brunch dishes came out quickly after ordering. They were complex but simple. 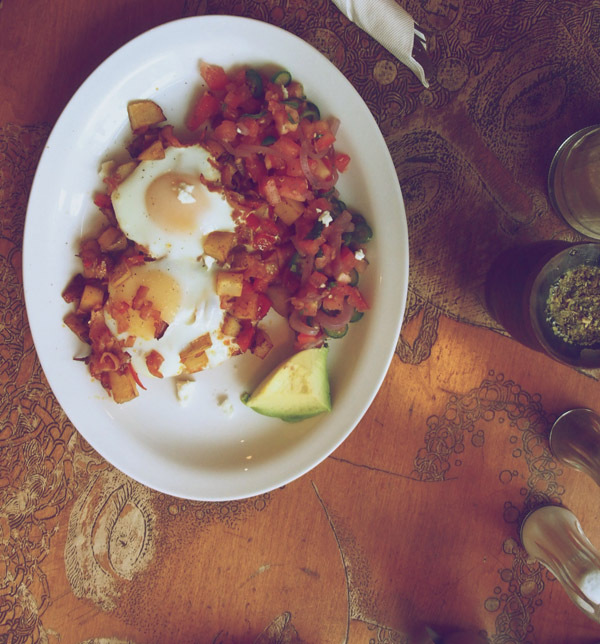 For my Huevos Coramajo, the plate looked like a piece of art being presented with finely chopped veg and perfectly cubed home fries sprinkled a top the plate. The eggs were perfect and inviting me to eat them as soon as the plate set itself down on the table. First bite: heaven. All I could think was, “this is so fresh and doesn’t feel heavy, yet there is so much food.” It seems like my sentiments were echoed across the table with Yuli and our beautiful brunch companion for the day, Kristina feeling similarly about their dishes. 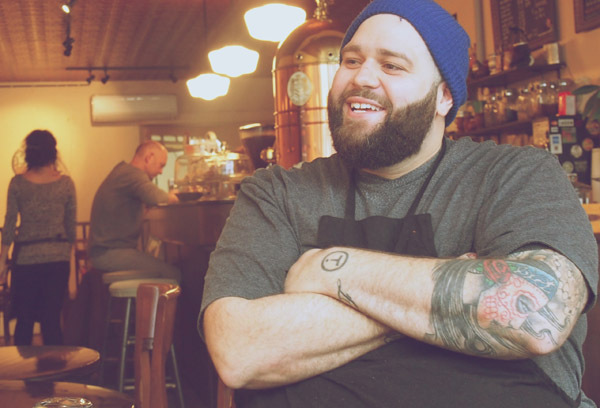 Edward has told us that what started out as a fun brunch pop-up has turned into something a bit more and they have extended the run into the New Year. 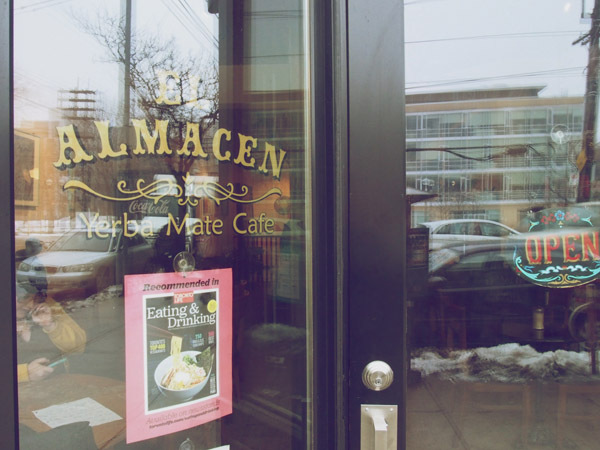 So if you’re looking for new and exciting places to check out with a passionate chef in the kitchen, you should check out this brunch pop-up on Saturday and Sunday at El Almacen Yerba Mate Café from 10AM-2PM. 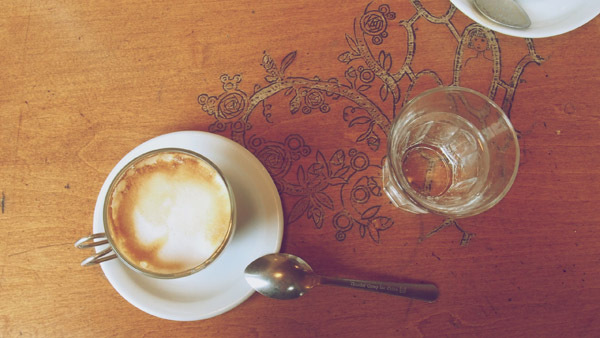 Cafe Bar Pasta is exactly what it sounds like: an authentic Italian restaurant serving espresso during the days and beautiful pasta and wine at night. This gorgeous space opened by Tom Bielecki in the regenerated area of Dundas West has great splashes of red, white and black all on the walls. It’s eye-catching and visually appealing. A private dining room in the wine cellar doubles as a classroom for pasta-making, preserving and wine tasting workshops. Imported from Italy, there is a pasta maker which makes beautiful fresh cut pasta. All wines are on tap. A beautiful communal butcher block style table made of a hard white and wormy maple, with built in power outlets for your computer or phone, along with an exposed brick wall. No detail has been spared. Executive Chef Jay Scaife works the pans in the back and what I appreciated most was the chef’s respect for the ingredients. I was treated to a chef’s side tasting of his different pastas made in house: Bucatini Amatriciana, Rigatoni, Ravoli and Tagaletrelle Carbonara. Pasta dishes can be a complicated thing to master and Chef Jay did them justice with them truly shining and playing the lead role. My personal favourite was the Bucatini. Rich in flavour and full of slurp-tastic goodness. The servers were all very friendly and knowledgeable of the menu and the wine options. The tartar and the meatballs were to die for. Along with all the desserts. Everyone enjoys some good wine and beautiful dishes. 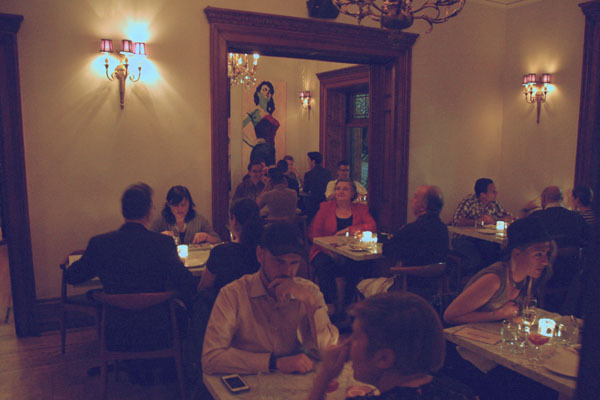 With dishes ranging in price from $10-$28, this is definately the perfect date night restaurant. 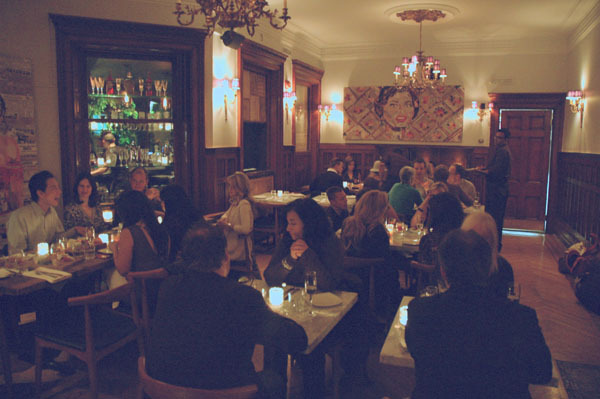 Osteria dei Ganzi opened its doors at Jarvis and Wellesley, earlier this year serving up beautiful Italian fare in a historic mansion. Upon entrance into the restaurant, you’re greeted with high ceilings, stained glass windows and preserved details of the original building. 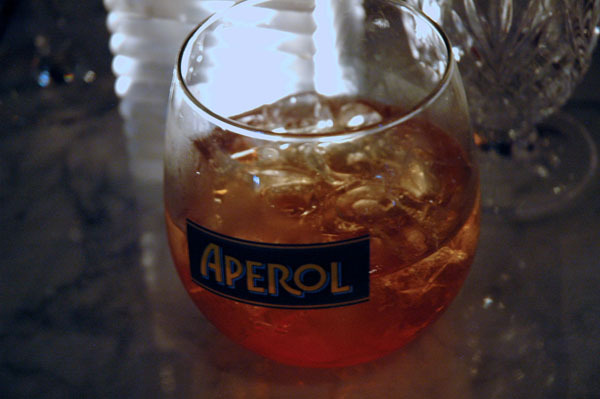 Also around are kitschy throw-backs to Italian culture such as a Vespa, in the bar area. With an extensive menu including everything from antipasti, crostini, carpacci, pesce (fish), carni (meat), pasta and pizza, there’s something for everyone here. 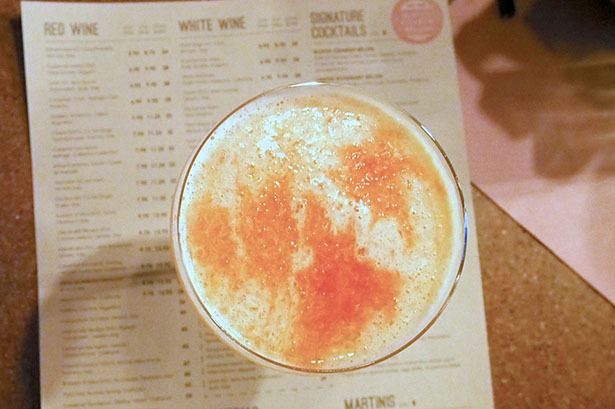 Plus, perhaps if it is just a cocktail you’re after – the bar has everything from champagne to their signature mixed drinks (including the Pom Pom, including Campari, bitters and orange). 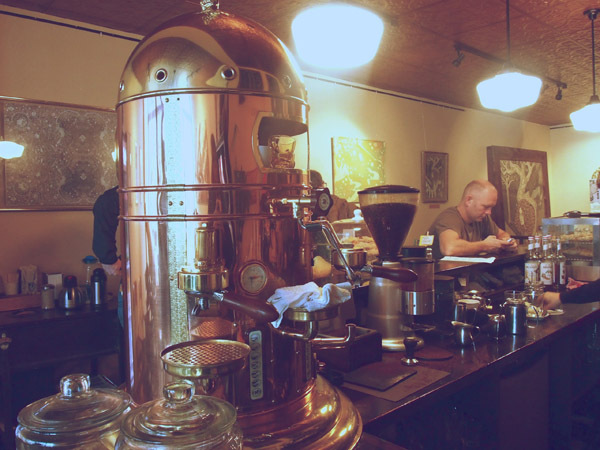 Just the other week, we were invited to test drive their new fall menu and feast we did. We were greeted with a selection of pizzas: Margherita (tomato, buffalo mozzarella & basil), Bosco (wild mushroom, truffle oil, asparagus & burrata), Bianca (prosciutto, figs, honey, ricotta & asiago) and Salmone (smoked salmon, salsa Bianca & burrata) – each were classic Italian and had great taste. I found the Salmon pizza not to be as fresh, as I would like. But beyond that, the rest were great. 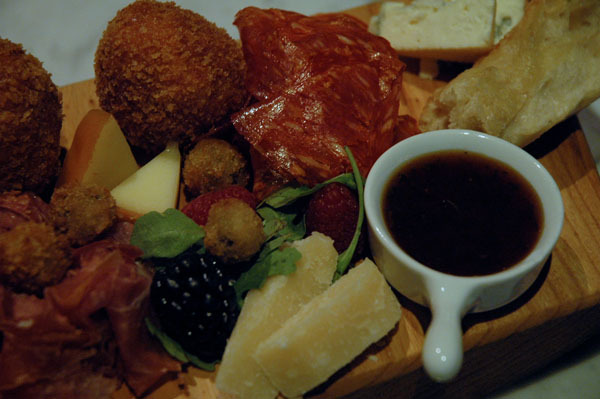 Next up, we were brought out the Misto Board, which included: parmigiano regiano, gorgonzola, scamorza, salami, mortadella, prosciutto, arancini & fried olives served with piccante sauce, basil marmalade & rosemary focaccia. It felt nice to eat some high quality meats and cheese while pairing with a delicious in-house made basil jam. Nothing says comfort quite like a meat/cheese board. As we circled into our main dishes, we were brought out two all-star dishes: Polenta with Spuntature – ragout of beef, lamb, spicy wild boar sausage & back ribs and Beef tenderloin medallion, lamb chop, shrimps & scallops with caponatina romana (red pepper, zucchini, eggplant & potatoes) on a bed of saffron risotto. The portion sizes for each dish was phenomenal and the taste, outstanding . Between the two dishes, the Polenta ragout was probably my favourite for its unassuming flavours and wow factor. 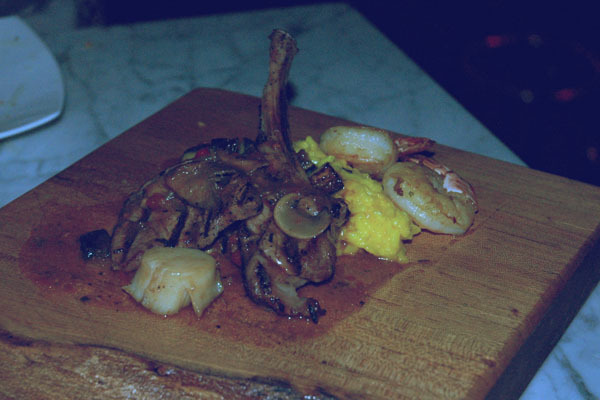 Osteria dei Ganzi offers an enjoyable night out to experience the joys of Italian food. Each plate was served with extreme attention-to-detail and great flavour and freshness. Highly recommended for an evening out. Originally posted to Ama’s column on Toronto is Awesome. Aria Ristorante is a breath-taking restaurant. Located inside the TELUS building on York Street, as you step through the doors you walk into a magnificent space filled with large windows that gaze out into the both Union Station and the Air Canada Centre. Looking around the restaurant, there is a huge wooden sculpture coming from the flooring and the restaurant is washed in tiny red and white lights from the high ceiling. The imagery sets up such a gorgeous statement, but would the food live up to the contemporary restaurant space. 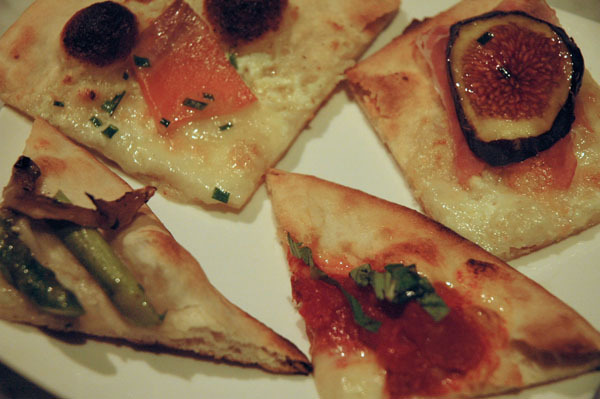 Chef Eron Novalski’s classic Italian menu doesn’t leave much room for interpretation. He tells us that with the menu, “we wanted to get back to the basics of Italian cooking and use good, classic ingredients”. In doing so, Eron tells me that the menu presented at Aria has taken a modern twist on Italian cooking while keeping the comfort of good food. First things first, Eron presented us a Salmon Crudo ($13 – from their raw menu) with compressed melon, basil & lemon vinaigrette, crispy prosciutto, mint and arugula. Each individual bite was fresh and clean with each individual ingredient speaking for itself. The saltiness of the prosciutto lending itself nicely to the raw salmon bites. Eron spoke about how with each of his different menu preps he likes to become inspired by where he has been and also what is locally in season. “We will be changing the menu over again in less than one month and it is great to be inspired by what’s in season in Ontario but also what mood you’re in by the different experiences and travels you’ve had.” which lead to our next dish he served us up. Hand-made ravioli with zucchini and shrimp in a chunky roasted tomato–garlic sauce with shaved bottarga di muggine and fried zucchini blossoms ($19) were melt in your mouth delicious with a spicy kick. The home-made ravioli were thick, plump and big were huge flavours. Plus the added bonus of fried zucchini blossoms gave the dish an extra bonus. He finished our dinner off on a sweet note, with a Lemon Tart ($8) which made us fall in love. Not only with Chef Eron but with Aria Ristorante. It gave us the exact pop of summer freshness we were looking for. Aria offers everything you could want in a restaurant: elegance, beauty and simple, great food. Thankfully everything was dazzling before the first dish arrived.